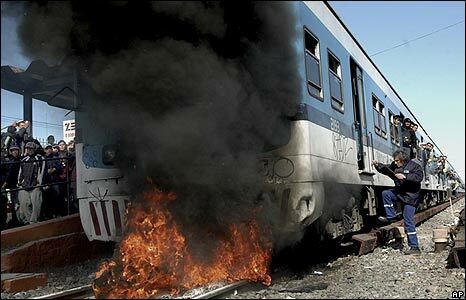 Frustrated commuters in Argentina set fire to a passenger train as the rail company has been having trouble meeting rush-hour demand. Hindu women pray before taking a ritual bath in the Bagmati River in Kathmandu at the end of the Teej festival, in which women fast and pray for the good health of their husbands. Parents of newly arrived freshmen students sleep in a gym at the Central China Normal University in Wuhan, Hubei province. 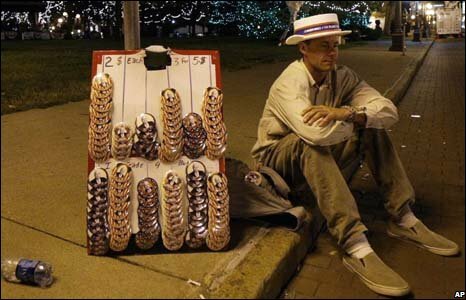 Campaign vendor Vassar Triplett sits on the kerb outside the Republican National Convention trying to sell his remaining McCain campaign buttons in St Paul, Minnesota. 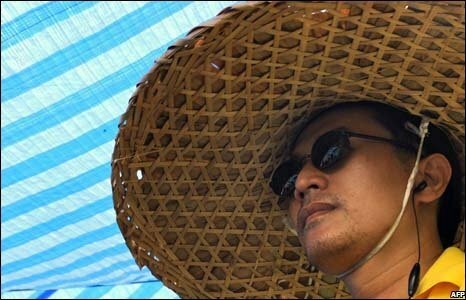 An anti-government protestor stands guard at a security checkpoint outside Government House as demonstrations continue in Bangkok. 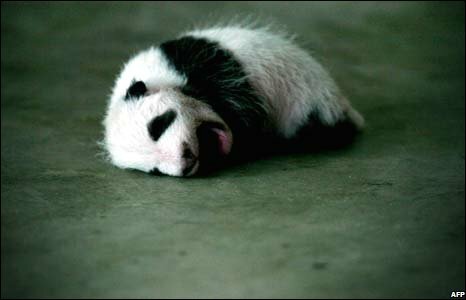 Month-old panda cub A Bao yawns as he rests with his mother at a panda breeding centre in Xi'an, in north-west China's Shanxi province. 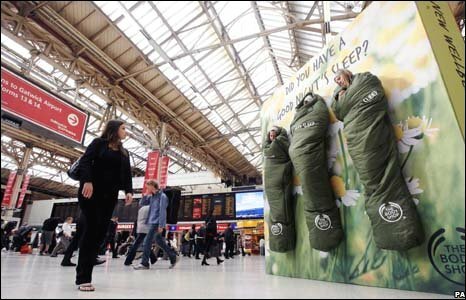 Three people catch up on their sleep as they hang suspended from a billboard at Victoria Station, London, to promote cosmetic products that claim to improve sleep quality. 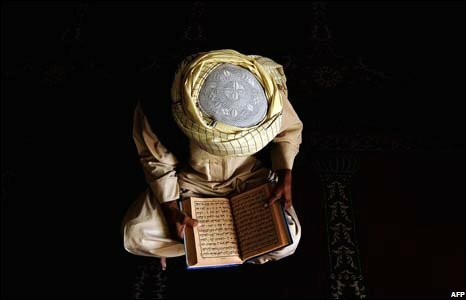 An Afghan Muslim reads the Koran in a mosque in Kabul during the Muslim holy month of Ramadan.